Oh my God, I've been looking for a clean scan of this image! Now I can vector it! Thank you for this! 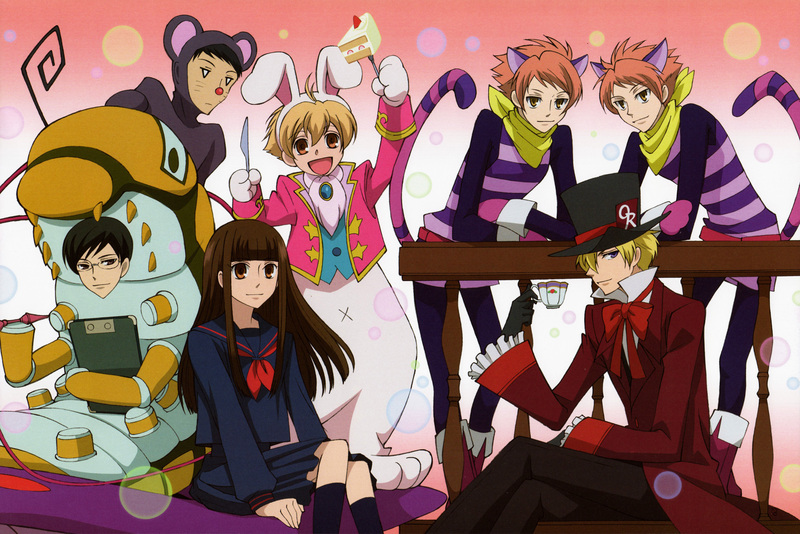 Oh I love Ouran Host Club so much and it's an amazing scan I must say! Thanks for this wonderful image! So funny! XDD I like it a lot, thanks for the scan! I saw the episode today! Nice scan! I wanna the second season! Beautiful scan, I like expecially the Hitachiin Brothers! Kakkoi desunee! Twin cats. Cute. Tamaki makes a good mad hatter. Haruhi looks very well with long hair too! They look so cute and cool! XD Thank you for posting it!